Your home may be unable to speak, but it leaves signs to tell you there’s a problem. Especially when it comes to leaks, you will need to pay close attention to what your house is saying. Water does not drip straight down; it can go through crevices before it pools in an area that eventually shows signs of water damage. Water Spots – The most straightforward sign that there’s water damage is if you see those yellowish water spots, especially after it rains. Finding the exact location of the damage may be difficult, however, if you don’t have the skills of professional roofers. Gutters Filled with Granules – It’s expected that shingles will deteriorate eventually. It’s normal to see a few granules washing through the downspout. However, if you notice that there’s a lot of granules in your gutters, this means your shingles are nearing the end of their lifespan or requiring replacement soon enough. Cracking or Cupping Shingles – Cracked shingles tell you they are worn while cupping shingles may be an indicator that the attic is not properly ventilated. In both cases, you need to have professional roofers checking the shingles to see if they need to be replaced. Missing Shingles – Shingles are placed on the roof in such a way that they interlock with each other. This architecture stops water from entering the drywall. If you notice a missing or misplaced shingle, this means your roof is compromised and in need of repair. 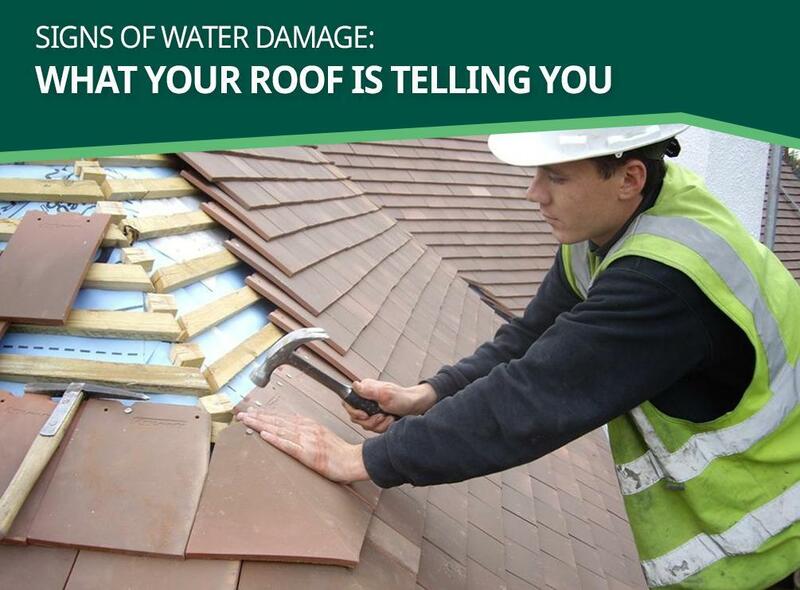 We recommend having experts check your roof, especially after a storm in your area. The Roof has Black Stains – Black mold is more of a cosmetic issue than a cause for alarm, but a skilled handyman would not recommend power washing to avoid taking off granules. You may be better off using zinc strips or replacing shingles with algae-resistant ones. Peak Roofing Contractors, Inc. is a family-owned company with years of experience in checking for water damage in roofs and sidings. If you’re not sure about what your roof’s state is, call us at (703) 745-5153. We serve Manassas, VA, and the surrounding areas.